American cheese meltdown- Will Velveeta run out before the biggest dipping day of the year? Americans beware; your nachos are in danger! Last week Kraft issued a statement that some parts of the East Coast were experiencing a shortage of Velveeta. Now it seems Kraft has confirmed the cheesepocalypse is real. Many consumers won’t be able to find Velveeta products on their store shelves over the next few weeks ….and worse still, the shortage could spread! Cheez whiz ! Say it ain’t so! With the Superbowl mere weeks away what will Americans put on their nachos? Feelings about Velveeta are varying- fiercely loved by many, reviled by others. Though some might wish for Velveeta to be vanquished permanently from the culinary landscape, to others venerable Velveeta has earned a place of honor in the America kitchen. 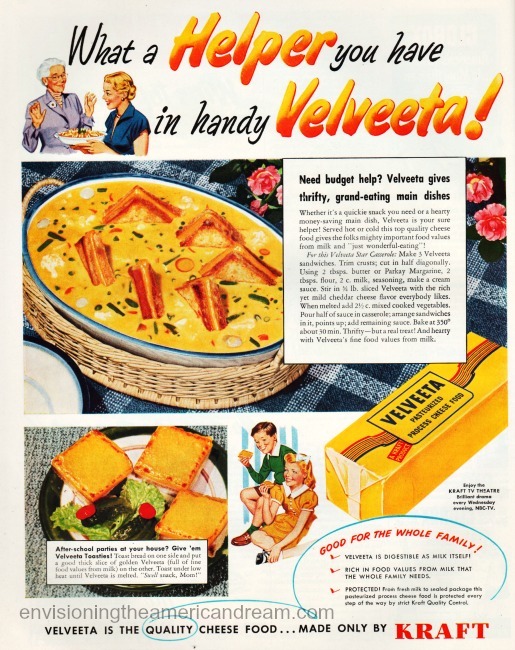 Food snobs, convinced that Velveeta puts the kitsch in kitchen, may turn up their refined noses at the creamy processed cheese spread but once upon a time Velveeta was considered a wholesome, nutritious food, welcomed by the modern housewife. It was during the dark days of the depression followed by the food shortages of WWII that helped catapult this gooey cheese into the hearts (and arteries) of Americans. 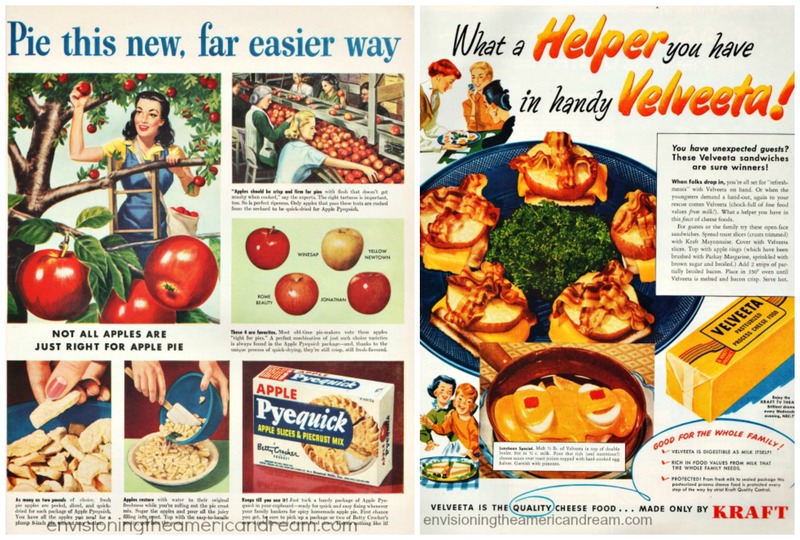 Velveeta is as American as apple pie, especially if the pie is made from a packaged mix. When it comes to food no other country has devised so many elaborate methods for altering, emulating and improving upon basic ingredients. A miracle of modern science, Velveeta cheese food, the orange-hued velvety smooth cheese hybrid that miraculously melts in one piece, was a careful concoction based on chemistry. Though Kraft would eventually purchase Velveeta in 1928, it was created a decade earlier, the brainchild of a Swiss born cheese-maker Emil Frye who lived in Monroe N.Y. once home to some of the leading cheese makers in the country. A few years earlier Frye, a cheese-maker with the Monroe Cheese Company, had struck gold with his creation of Liederkranz a soft ripening, spreadable cheese and it soon became one of the most popular cheeses in the country. But Frye had a bigger vision. In 1916, he began experimenting in his home kitchen. For 2 long years he fiddled with broken and misshapen wheels of Swiss cheese, blending them with whey and other byproducts of cheese making until he created a smooth end product with a velvety consistency. By turning waste into profit, a new cheese making process was born. The visionary cheese-maker named it Velveeta. 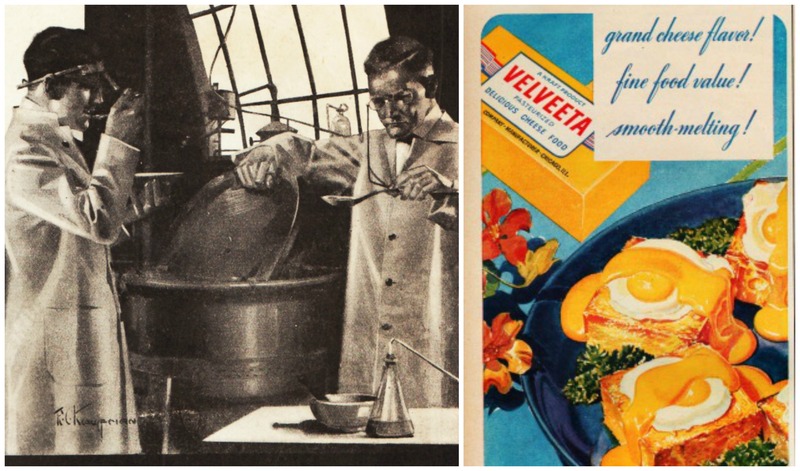 With packages bearing the tag line “A Triumph in Cheese Making,” the brand spun off into the independent Velveeta Cheese Company in 1923, until it was sold to Kraft in 1928. “Never before,” Kraft announced a bold headline in a 1933 ad for Velveeta. Velveeta could do Mother Nature one better. You could always count on Velveeta, it spreads, it slices, it melts to perfection every time. 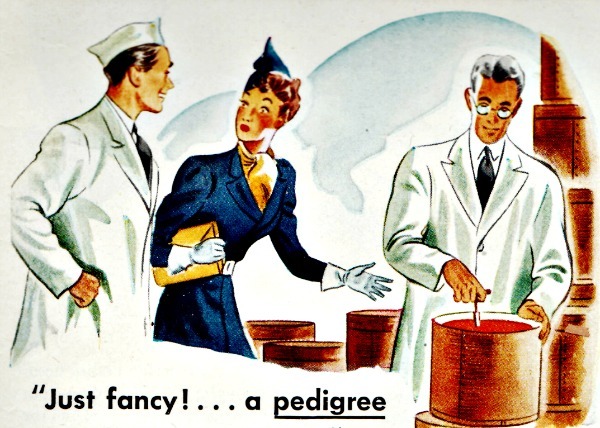 “How is it that the Kraft cheese you buy always tastes the same?” a quizzical housewife wonders in one ad from 1939. 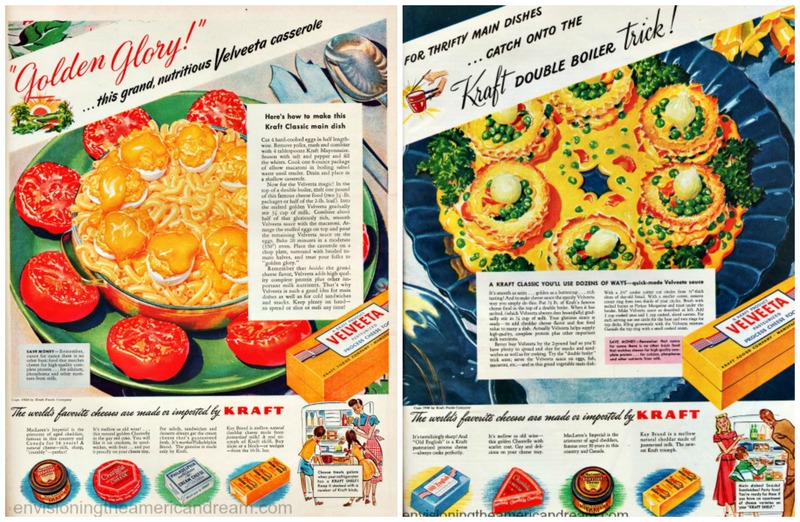 “Master Blending of many cheeses was the secret formula of Velveeta,” the Kraft cheese-maker explained, and that “they kept a full record of every cheese they use- a sort of birth certificate and personal history on it to assure consistency of flavor. The blending and processing of the cheeses that go into Velveeta protects the flavor peak deliciousness at every step. The result is utmost uniformity,” he states beaming. Artisanal Cheese was plain old-fashioned; why eat regular cheese when you could give your family the benefits of processed American cheese food. Velveeta improved on anything a mere cow or a dairy farmer could produce.